But they won’t report the good deeds Trump and his family are doing! Luckily, we are here to inform you that First Lady Melania made a stunning appearance today in Brussels! 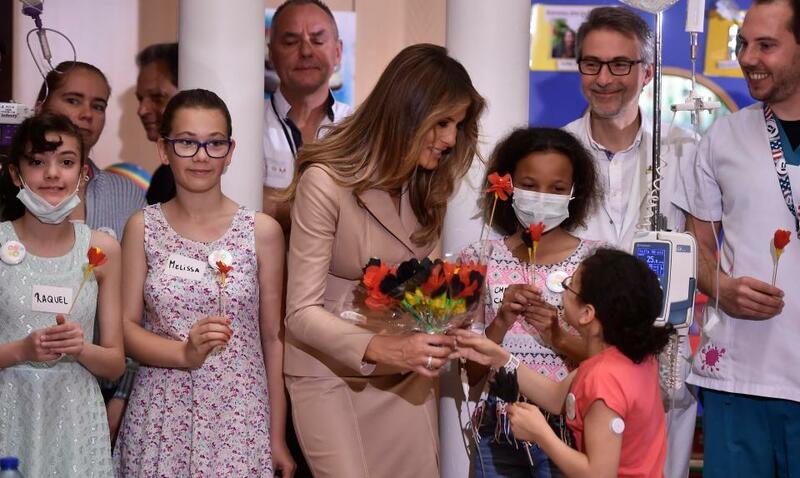 Melania even chooses to honor her host nation by wearing Belgian designer Maison Ullens that is something that we couldn’t see with our former first lady. Melania Trump paid homage to the city of Brussels in a suit from Belgian designer Maison Ullens. This latest skirt suit, designed by Myriam Ullens de Schooten, falls in line with the First Lady’s style, as seen thus far. 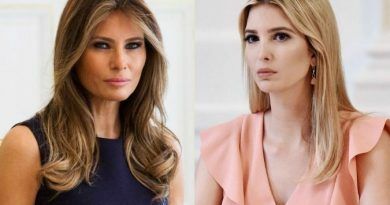 For a meeting with Israeli Prime Minister Benjamin Netanyahu and his wife Sara at the White House and more recently in Jerusalem, Trump opted for strongly tailored, optic white suits by Karl Lagerfeld and Michael Kors, respectively. Today’s look pushed things further, thanks to exposed stitching that recalled the Hervé Pierre leather skirt she wore to leave the White House last week. The light taupe suit came with a tonal, built-in belt, a signature detail that the First Lady employs often. 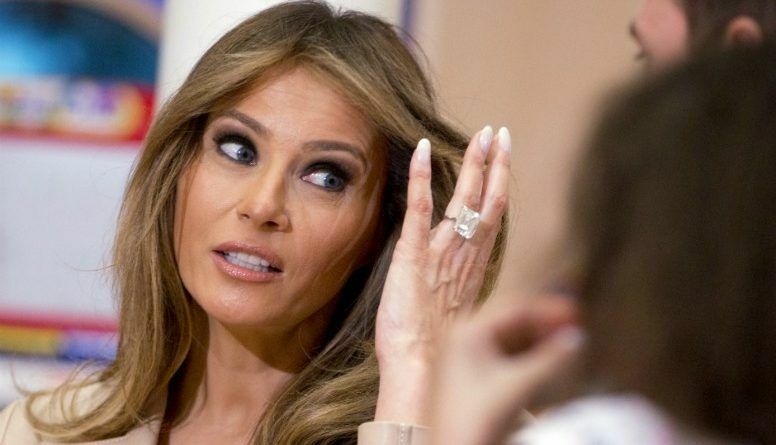 Grounding the look were snakeskin Manolo Blahnik stilettos; Trump’s diamond ring acted as her only accessory. Walking side-by-side with another official, the First Lady looked deep in thought as she walked around the hospital. The belted suit was paired with gold stilettos and a matching manicure – her hair slightly less wild than yesterday as she stepped off Air Force One.